Whether it’s a treasured antique you purchased from a local shop, a family heirloom that has been passed down for generations, or a piece that is simply a mainstay of your living room, furniture has a tendency to become a major aspect of the identity of your home. Furniture plays an integral role in the decor of your home, and can make the interior more aesthetically pleasing. Moreover, furniture provides a bevy of tangible benefits, including comfort (couches), storage (dressers), professional usages (desks), and a place to display other cherished items (tables). What’s more, furniture can be instrumental to a person’s business, be it a collection of office furniture or booths at a restaurant. In short, furniture is a quiet essential of our daily lives, regardless of whether you are a collector, a business owner or someone who is just looking to fill space in their residence. Despite our best preventive measures, furniture will eventually rip, erode, stain or break. If or when this happens to a valued antique, or an adored family heirloom, it can be a very unsettling and disheartening feeling. 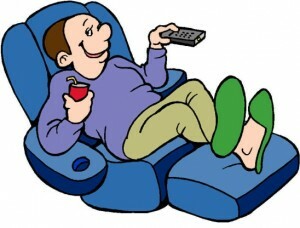 Likewise, if it happens to a modern piece, such as your favorite recliner or the coffee table you throw your feet on to relax; it can disrupt your day-to-day routine. Rather than buy an expensive new piece of furniture to replace one that you are more than happy with, consider antique restoration or upholstery services. Upholstery can ensure that your couch is as comfortable as ever, or that your business can slash expenses by avoiding paying for new furniture. Additionally, antique restoration services can insure the long-term value of your prized possessions, and ensure that your children and grandchildren will be able to showcase antiquated family heirlooms in their own residences. If you need furniture upholstered or antiques restored in the Houston, Texas area, please contact the experts at Champions Refinishing & Upholstery.